Guys, I’m having a hard time writing up this article because I’m so freakin’ excited to tell you a couple things about Luca Brasi’s Pizzeria! First, let me give you some background. I have been a fan of Luca Brasi’s since before they even opened. I discovered them because they are two doors down from my daughter’s dance studio, Footprints. During their initial construction, I meet Richard & Bridgette Stanley. I loved them from the start. I can always feel and see passion oozing out of business owners. This couple definitely has it and I loved seeing that! Once they opened, I picked up dinner most Thursday nights after dance class. The weeknight special is too good to pass up. And perfect for a busy weeknight during the school year. Ok – now on to the new stuff that I’m thrilled to share with you! 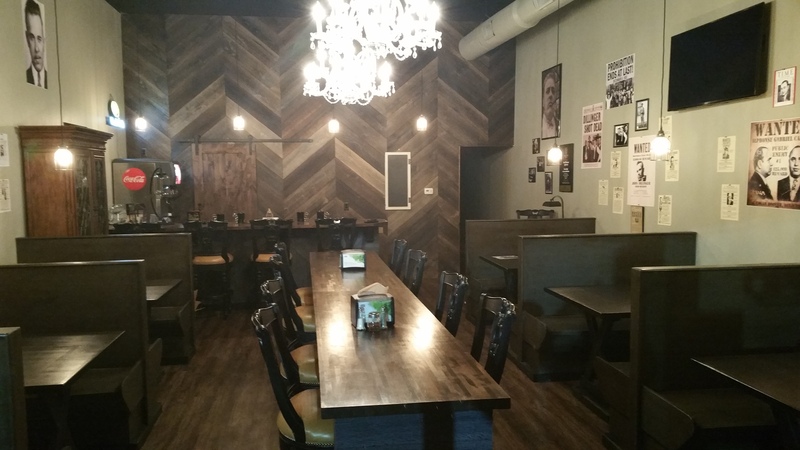 The inside of Luca Brasi’s Pizzeria has been completely remodeled and it looks so GOOD. This picture doesn’t do it justice. Everything from the wall decor, chandeliers, booths, and much more were done so nicely! The ambiance of the place is perfect. You’ve just got to go by and check it out for yourself. Machine Gun Kelly Sandwich (fresh cut rib-eyesteak•pepper•onion• mushroom • Grande provolone cheese • hoagie roll). 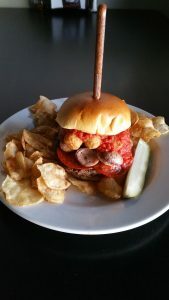 With the new schedule in place, a fabulous new menu, and excellent local spot – Luca Brasi’s would be a perfect choice to host any events you have coming up this year. Birthday parties, company parties, engagement parties and much more! You are welcome to book these parties from 8am-8pm on Tuesdays or between 8am-4pm Monday, Wednesday or Thursday. For more information, call Richard or Bridgette directly at (470) 281-5707. Ok – that’s all I’ve got. Go have yourself some yummy food and support this fabulous locally owned and operated business. Last but not least, please let me know what you think once you try them out! Richard Stanley started making pizzas for friends, parties and school events in the early 90’s. His pizza was always a hit. In fact, people would constantly tell him that he should open up a pizza joint of his own. Back then, his life was devoted to being a father to five amazing kids. 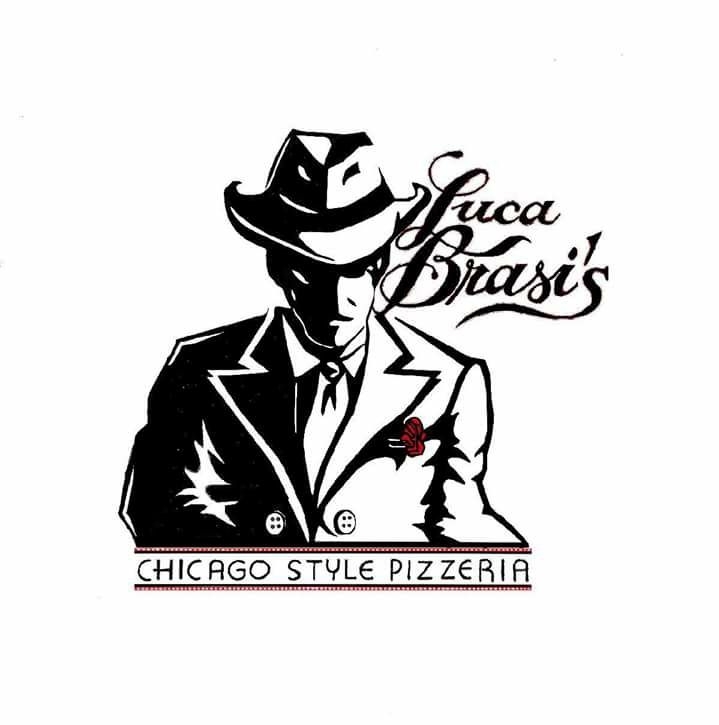 Now that his kids have grown up, he has put all his passion and energy into Luca Brasi’s. It is his calling. Luca Brasi’s opened in January 2017 and has been serving up authentic Chicago style deep dish and New York style hand-tossed pizza to Forsyth County as carryout or dine-in. Is that a Primati Bros Style sandwich? 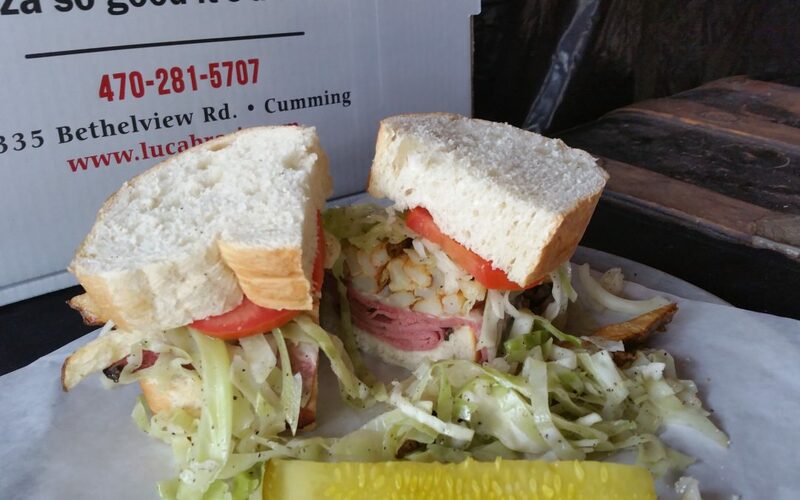 Meat, fries and slaw on Italian bread? Yes, it’s called Silver Dollar Sam (Primanti Style) and it comes with your choice of Boar’s Head pastrami, roast beef, or turkey with Grande provolone cheese, tomato, coleslaw & house fries. 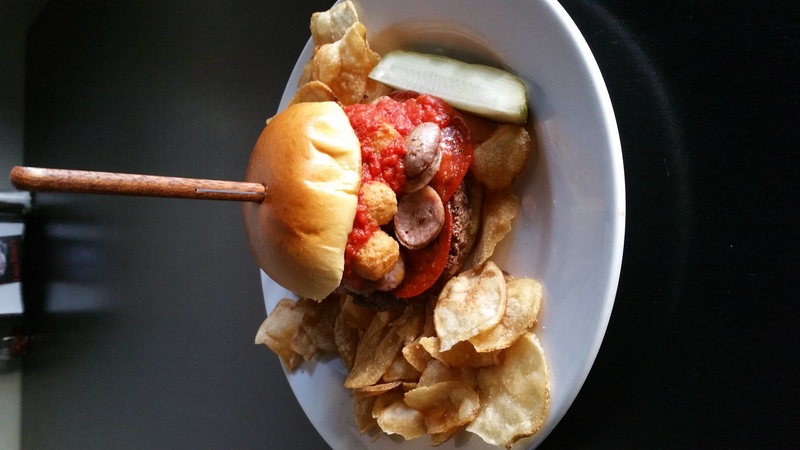 ALl on fresh Italian bread and served with a pickle spear. YUM!